These elegant Peppermint Chocolate Slice and Bake Cookies are made with plenty of peppermint flavor surrounded by rich chocolate. Easily store the dough and have wonderful peppermint chocolate cookies any time! I absolutely adore peppermint. My family’s all-time favorite cookies (and also the most popular on this blog) are my White Chocolate Candy Cane Drop Cookies. But now those have a serious contender for taking over the top spot with these Peppermint Chocolate Slice and Bake Cookies. They are so refreshing and incredibly delicious. You absolutely cannot eat just one. While most cookies are just scooped, these cookies are sliced. And they’re so fun to make! First, you’ll make your chocolate peppermint dough. I actually added essential peppermint oil to the dough, as well as some chocolate and peppermint chips to make them extra minty. (You can use peppermint extract in place of the essential peppermint oil). You’ll roll the dough into two logs about two inches thick, and then refrigerate them for at least four hours. I refrigerated mine overnight. (Wrap them in plastic wrap before refrigerating). When you’re ready to bake your cookies, just preheat your oven to 350 degrees F. Remove the plastic wrap and begin slicing your dough. I cut my cookies about 1/2-inch thick. Once you slice both logs, you’ll have about 40 cookies. Place them on cookie sheets lined with parchement paper or silicone mats. You only need to space these cookies about one inch apart, because they will not spread while baking. Bake them for 12-13 minutes. Once you remove them from the oven, let them stay on the cookie sheets for five minutes before you transfer them to a wire rack to cool completely. Once they have cooled, you can melt some chocolate (I just used chocolate chips) and dip one side of the cookies in them. Place them on parchment paper to let the chocolate set. This will probably take about an hour. If you use candy melts (like Wilton’s), the chocolate may set sooner. It’s great to make up this dough and keep it in your fridge. Then any time you need cookies for a party, or to give to a teacher, you can just slice some up and bake them. They are SO delicious and taste just like thin mint cookies. Be warned! They are addictive! (I couldn’t stop eating them!) You might want to make a double-batch, just in case! This recipe was first seen on Yellow Bliss Road, where I am a contributor. These elegant cookies are made with plenty of peppermint flavor surrounded by rich chocolate. 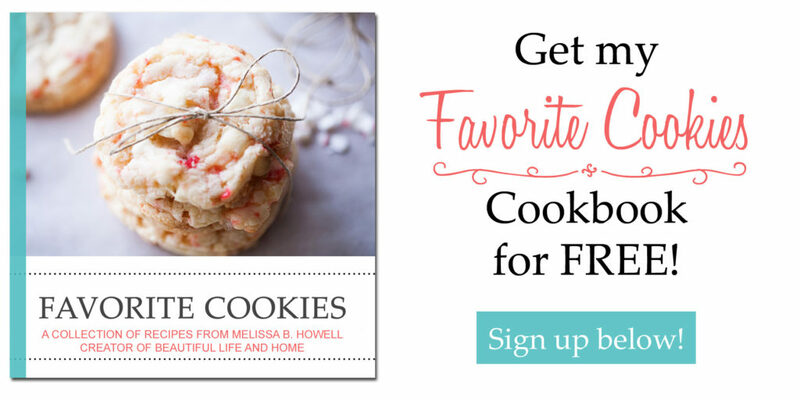 Easily store the dough and have wonderful peppermint chocolate cookies any time! 1/2 cup chocolate for dipping (chocolate chips, candy bar, candy melts, etc). Mix the flour, cocoa powder and salt together in a separate bowl and set aside. In a large bowl or stand mixer, beat the butter on high speed for about one minute. Add the granulated and brown sugar and beat until creamed, about two minutes. Add the egg, vanilla extract, and peppermint extract. Beat on high until combined and dough is smooth. Add the flour/cocoa mixture and mix on low speed until everything is combined. The dough will be soft and a little sticky. Sprinkle a large cutting board with flour and turn the dough out onto the cutting board. Divide the dough in half, and roll each half into a log about 2 inches thick and 8-10 inches long. Wrap each log in plastic wrap and chill in the refrigerator for at least four hours. Overnight is best. When ready to bake, preheat your oven to 350 degrees F. Remove logs from the refrigerator and slice cookies about 1/2-inch thick. Place cookies on parchment or silicone-lined cookie sheets 1-2 inches apart. Bake 12-13 minutes. Let cool on cookie sheets for 5 minutes before transferring to a wire rack to cool completely. Once cookies are cool, melt your 1/2 cup of chocolate and dip each cookie half way into the chocolate. Place cookies on parchment paper and allow chocolate to set, 30 minutes to an hour. There’s butter in the directions but none in the recipe. You’re right! I’ve fixed it now. Thank you so much for alerting me to this omission! My husband’s favorite flavor combo!! Well, I love it too and I love how you dipped them in chocolate too! You had me with peppermint! Yum! Chocolate and Peppermint!! Two of my favorites!!! How much salt do I add to the recipe? The directions ask to mix the flour, the cocoa powder, and the salt together in a bowl but the ingredients listed do not say how much salt. You’re right! So sorry! There should be 1/4 teaspoon of salt. I will add that to the recipe right away!